The Farmington Emblem Club #460 at the completion of a flag-folding ceremony that was part of Saturday's brunch. 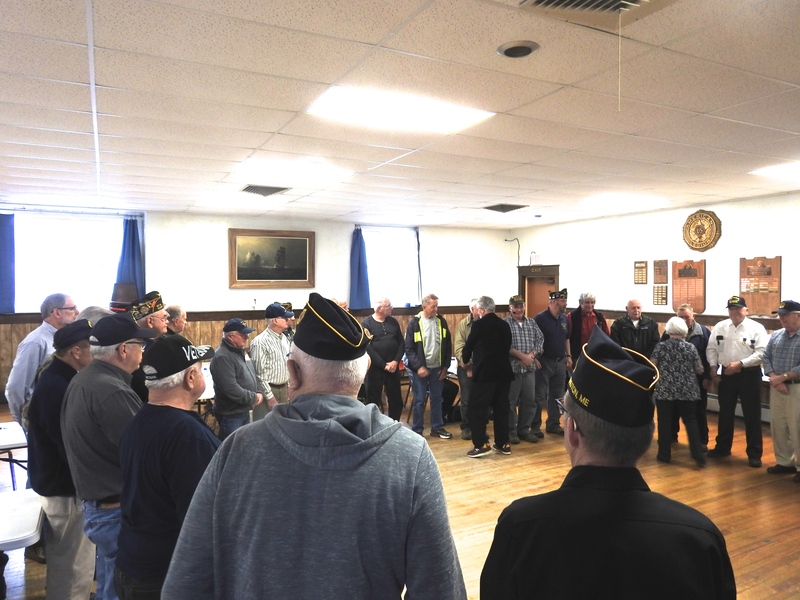 FARMINGTON - A number of local organizations hosted a special brunch for Vietnam War era veterans Saturday morning, as part of an ongoing national movement to recognize those veterans prior to the 50th anniversary of the war. The Colonial Daughters Chapter of Daughters of the American Revolution decided to organize the event in conjunction with the USA Vietnam War Commemoration, a national movement authorized by Congress and the president back in 2008 to run from Memorial Day, May 28, 2012 through Veterans Day, Nov. 11, 2025. The commemoration was created to honor veterans who served with the U.S. Armed Forces in an active duty capacity between Nov. 1, 1955 and May 15, 1975, regardless of location. In addition to other forms of support, the commemoration provides pins that can be given to qualifying veterans at local events. "The brunch is to recognize Vietnam era veterans," Colonial Daughters Regent Melanie Farmer said of Saturday's event, "whether they were in Vietnam or were serving in the military and could have been shipped in at any minute. The purpose is to thank them." Sen. Tom Saviello provides some remarks during the brunch. DAR has a strong connection to events supporting veterans, as all DAR members are themselves descendants of Revolutionary War patriots. There are more than 185,000 DAR members in 3,000 chapters across the world. 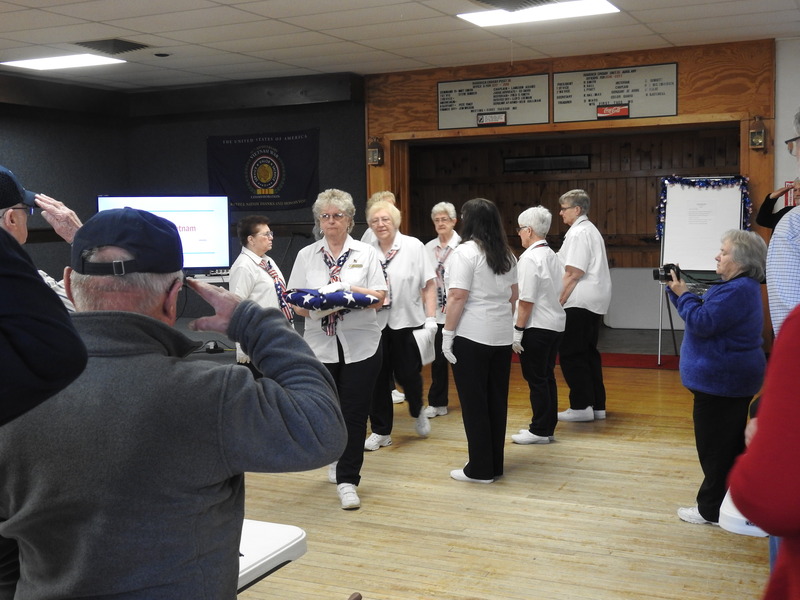 The local Colonial Daughters Chapter has an active veterans committee, chaired by Ann Ladd, and undertakes annual projects such as delivering desired items to the Togus veterans hospital, such as toiletries, coffee, books and earphones. This was the first time the Colonial Daughters had attempted anything like the brunch however. It was scheduled as close as possible to National Vietnam Veterans Day on March 29. 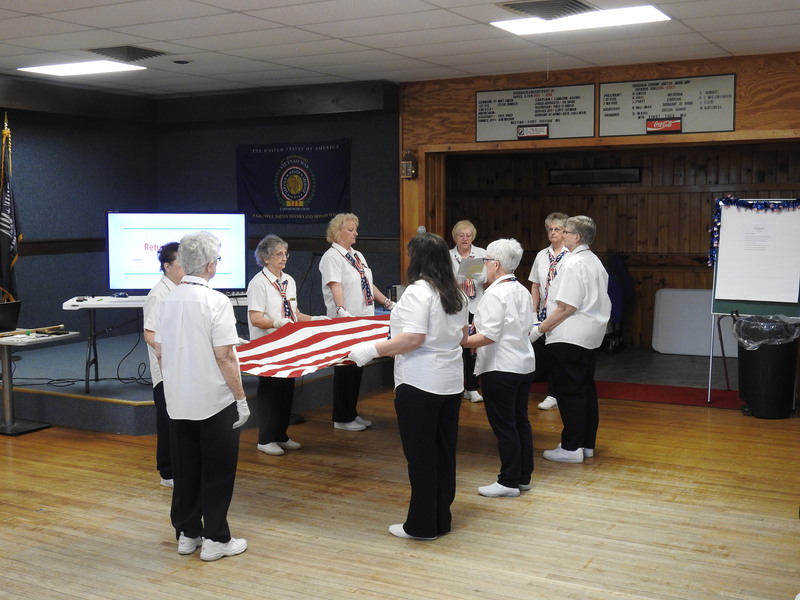 In addition to the national commemoration, the Colonial Daughters worked with the Roderick-Crosby American Legion Post #28. 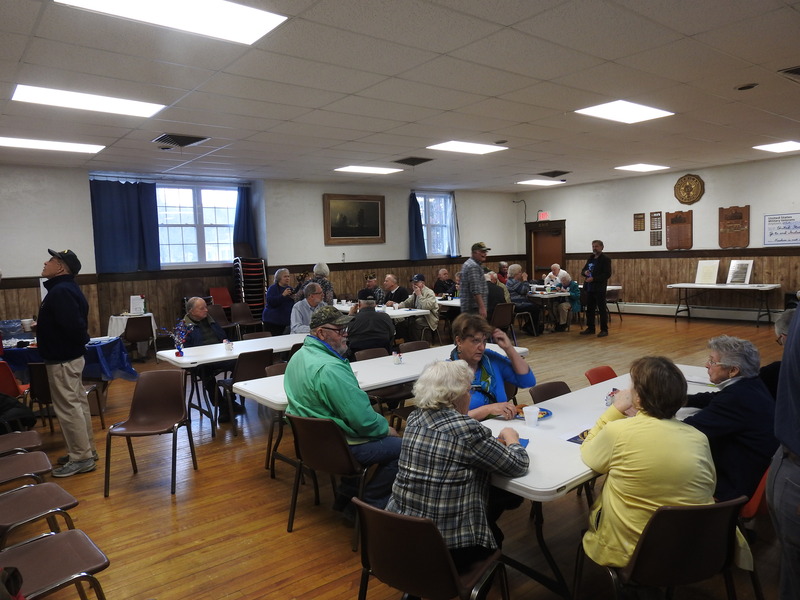 Organizers decided that holding the event at the American Legion Hall made sense after Pete Tracy, the Post Adjutant, spoke at one their meetings. Farmington Emblem Club #460 was also present to conduct a flag folding ceremony. Sen. Tom Saviello shakes hands with roughly 30 Vietnam War era veterans who attended Saturday morning's event. Roughly 30 Vietnam War era veterans were in attendance, as well as family members and a number of other veterans. Remarks were provided by Sen. Tom Saviello (R-Wilton), who noted that the event may represent one of his final speeches as a state senator. He noted that many soldiers returning from Vietnam were badly treated or ignored, due to the widespread unpopularity of the war. More than 58,000 American soldiers were lost prior to the conclusion of the war in 1975, Saviello said, and another 300,000 were wounded. "Today we recognize the veterans of the Vietnam War with our respect and our gratitude," Saviello said. He noted that one of the lessons of the war, regarding the American public's response to returning soldiers, had benefited current members of the Armed Services returning from Iraq and Afghanistan. The event also featured a slide show of a recent trip to Vietnam by Lou Bernier, who served as an Army specialist with the 101st Airborne near Phanrang. 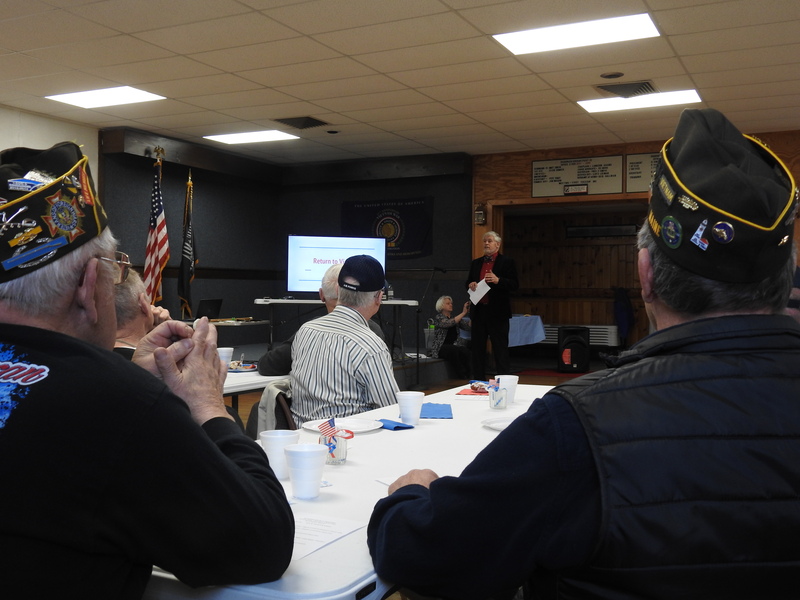 Ladd noted that Colonial Daughters Chapter was interested in recognizing Vietnam War era veterans who may be in assisted living or residence programs throughout Farmington or the surrounding communities. As health care reporting laws make it difficult for facilities to communicate information directly to the Colonial Daughters, anyone who has family members or otherwise knows about qualifying veterans interested in being recognized should contact Ladd at anntrue210@gmail.com. Those in attendance included both Vietnam War era veterans as well as other post members and their families. The Farmington Emblem Club #460 folds the American flag. Thank you,dear ladies for this kind gesture. A large majority of my fellow Vietnam brothers and I think this is akin to an insult.While the treatment we received when we returned fifty years ago was appalling, it's even more of an insult to have a "makeup" party to atone for the slight. I'm glad in one respect that it resulted in better treatment for the ones that followed after us in subsequent wars but you cannot have a birthday party a week after and say it's all fine now. Nothing can erase the wrong. I'm glad some Vietnam Veterans find closure or solace in a ceremony that is long overdue but it will always stick in my craw. As an aside, when I returned, I attempted to join my local VFW. In spite of three combat Vs for Valor during my two years there, I was refused because Vietnam was a "conflict" and not a war. And that's all I'm going to say about that. Mine was 1964- 69 USMC.2.5 years over seas. Getting a job was the trick. When you did get a job. It was short.A VET ? Sorry we don't need you. Learned not to show my DD214...So was life for the of the VET. And the VA wasn't much help. Im sorry to hear of the hardships that you all encountered upon your return. Please know that there is a LOT of people who support you and the ones that don't are usually the ones putting anything down because of the freedom you helped preserve for them. Ignore those people and surround yourself with the others. I've worked with a number of Vietnam Veterans and they are harder workers still today than most people I know around my age.